This post falls during the Jewish holiday of Purim, a holiday marked by feasting and celebrating the deliverance of the Jewish people, as told by the book of Esther. 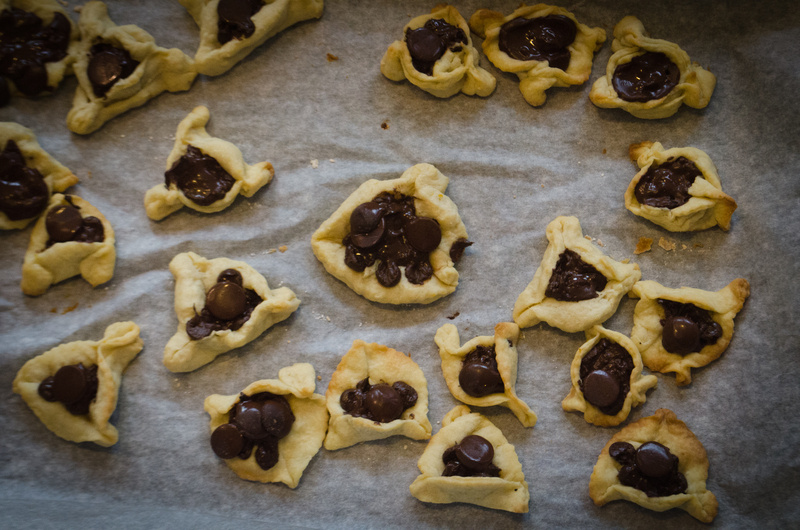 Hamantaschen are the quintessential Purim food, and their endless variations and combinations are insanely delicious. Hamantaschen are known for their triangular shape, referencing the hat of the villainous Haman, and symbolizing his defeat. 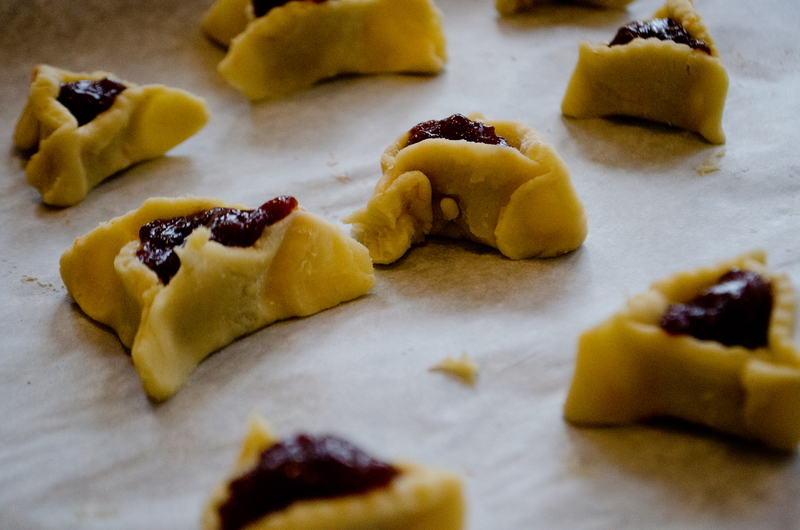 The traditional filling for hamentaschen is a poppy seed, prune, or nut paste, but many people use various fruit preserves. More recently, people have experimented with fillings, adding caramel, chocolate hazelnut spread, or truly anything that you can imagine. 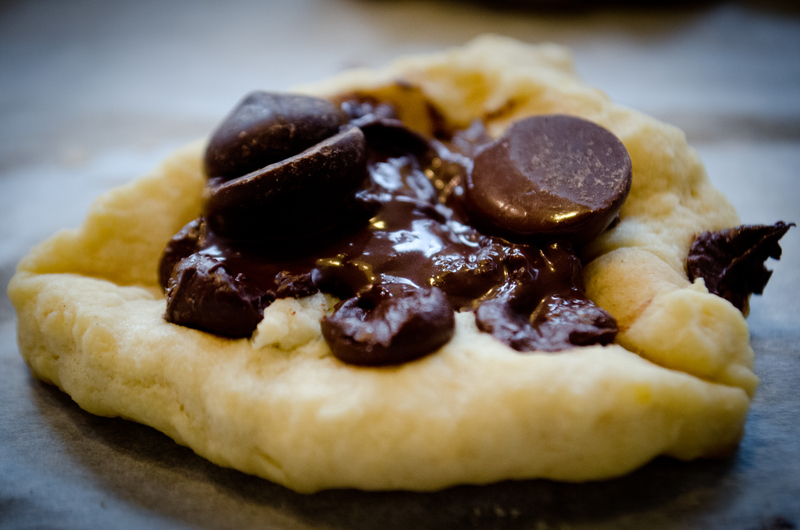 This dough is adapted from one of our favorite blogs, Smitten Kitchen. The dough is a cream cheese dough, which adds a slightly tangy and creamy flavor to the traditional butter or oil-based dough. The dough is extremely flaky and tender. In order to ensure a beautiful presentation, adequately chill the dough before baking so that it does not spread too much, and seal the corners well. For this batch, I used strawberry preserves and dark chocolate. 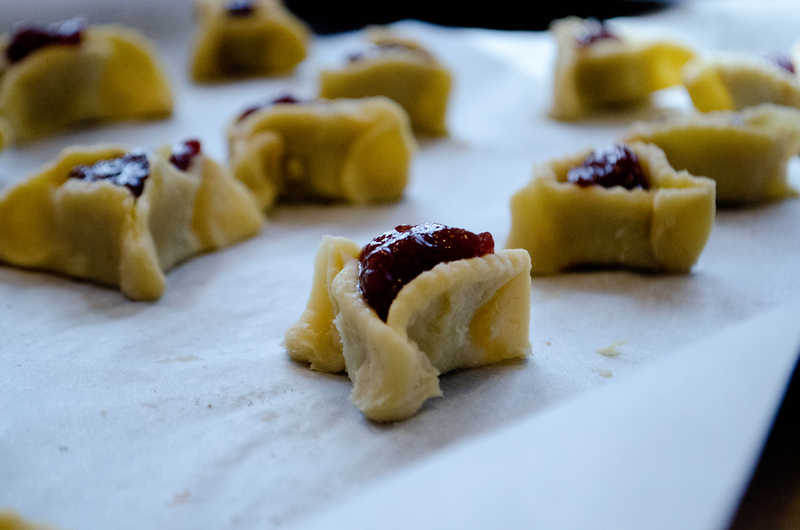 Also, for many of my hamentaschen, I rolled the dough out too thinly, which caused them to slighly explode. No matter how ugly they are, they still taste amazing! Various jams (I love raspberry, strawberry, or peach) or prepared fillings (such as chocolate, chocolate hazelnut, poppy seed, or fruit. Cream butter and cream cheese together until smooth. Add sugar and mix for one minute longer, then egg, vanilla extract, orange zest and salt, mixing until combined. Finally, add the flour. 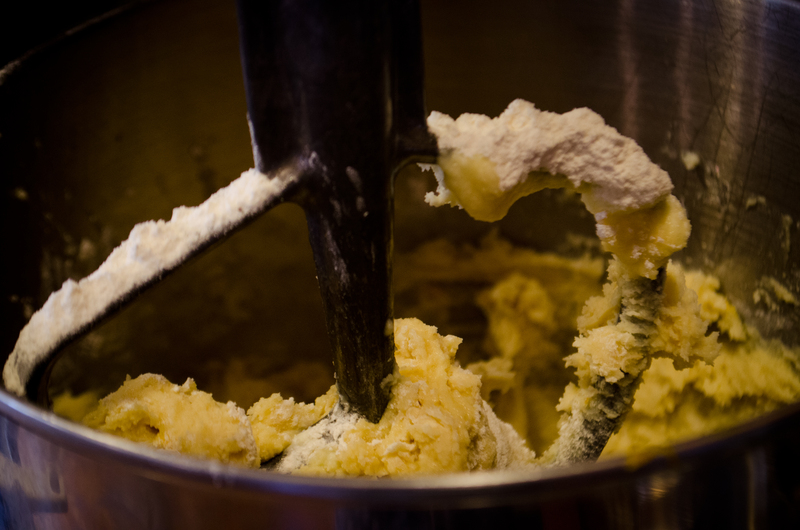 Make sure not to over-mix once the flour has been added; overworking the gluten in the flour contributes to a tough dough. The mixture should come together and be slightly sticky. If it feels too wet, add an additional tablespoon of flour. 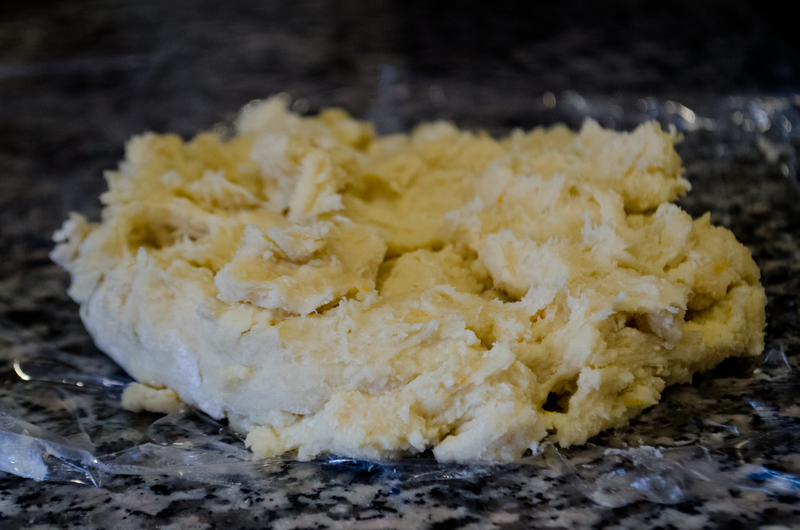 Once dough has chilled, preheat oven to 350°F. 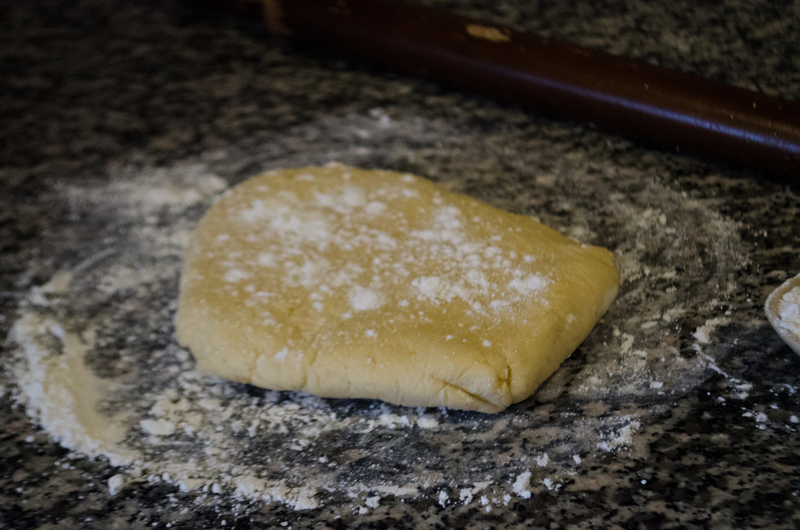 To form the hamantaschen, roll out the dough on a well-floured surface until it is about 1/4-inch thick. 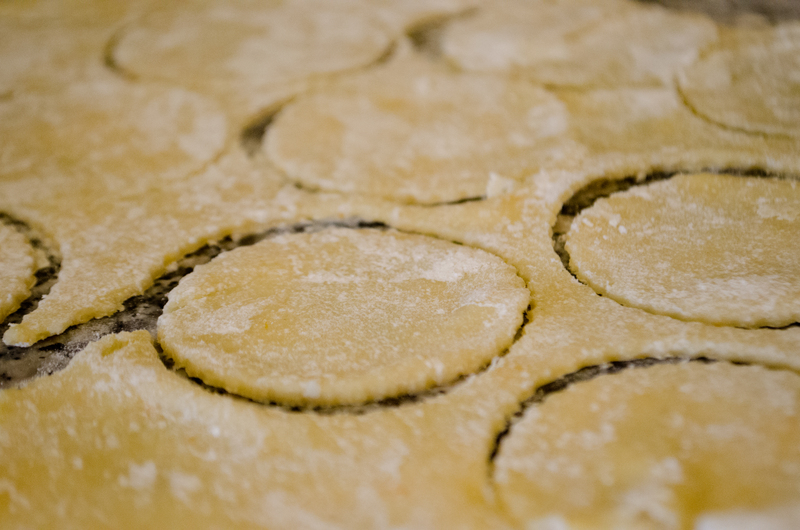 Using a round cookie cutter (no larger than 3 inches in diameter), cut the dough into circles. Spoon a teaspoon of your filling of choice in the center—as tempting as it is, make sure not to overfill them! 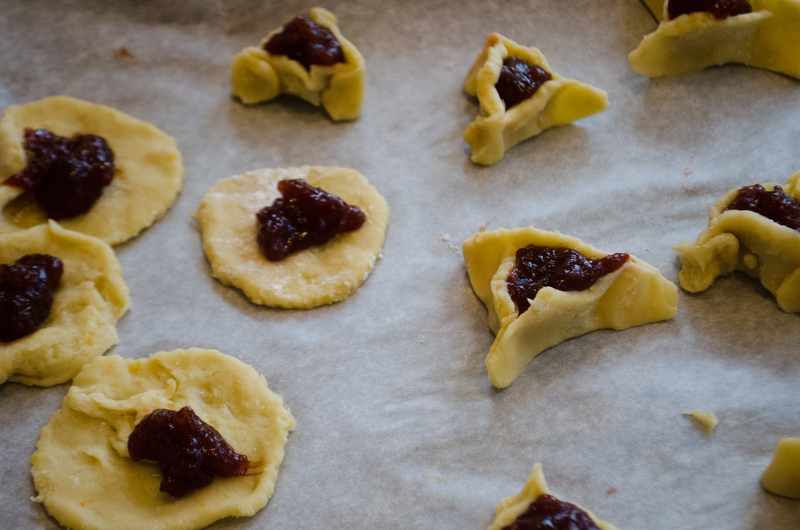 Fold the dough in from three sides and firmly crimp the corners and give them a little twist to ensure they stay closed. Use a fork to secure the sides. Leave the filling mostly open in the center. Bake on a cookie sheet lined with parchment paper and bake until golden brown, about 20 minutes. Cool on racks. 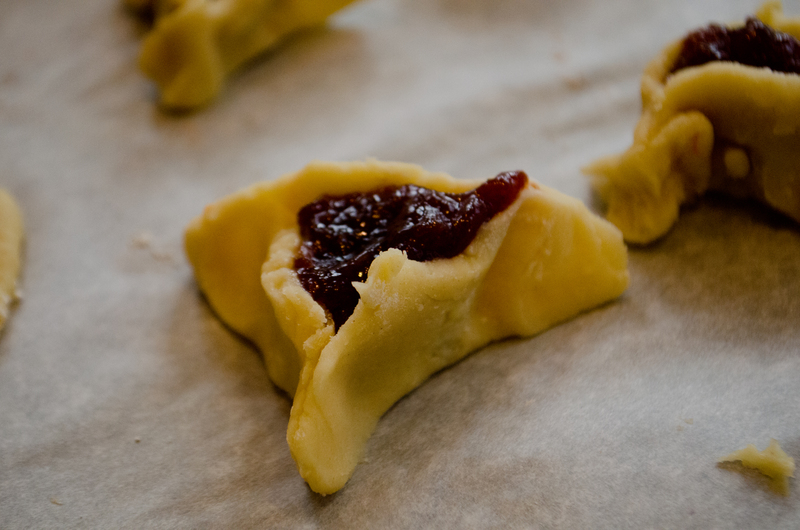 The filling is extremely hot, so make sure that the hamantaschen have sufficiently cooled before you dig in to them! 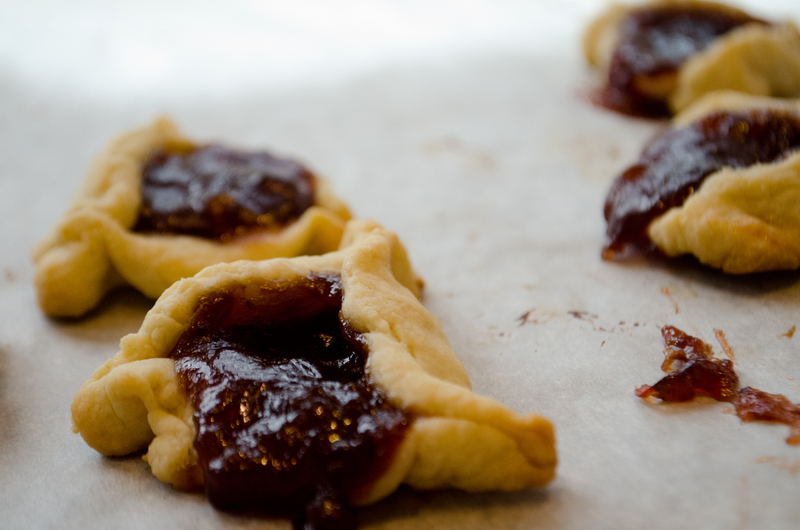 What are your favorite hamantaschen fillings? 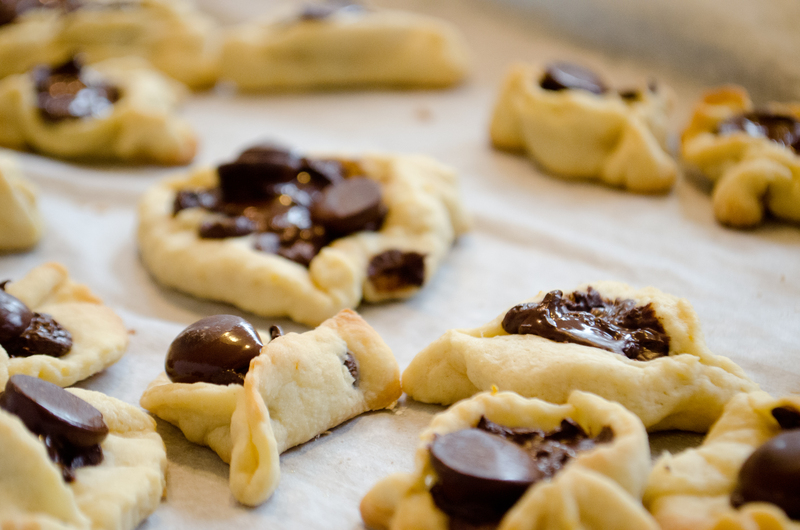 What are the most creative hamantaschen inventions that you have tried? Thanks for checking us out! 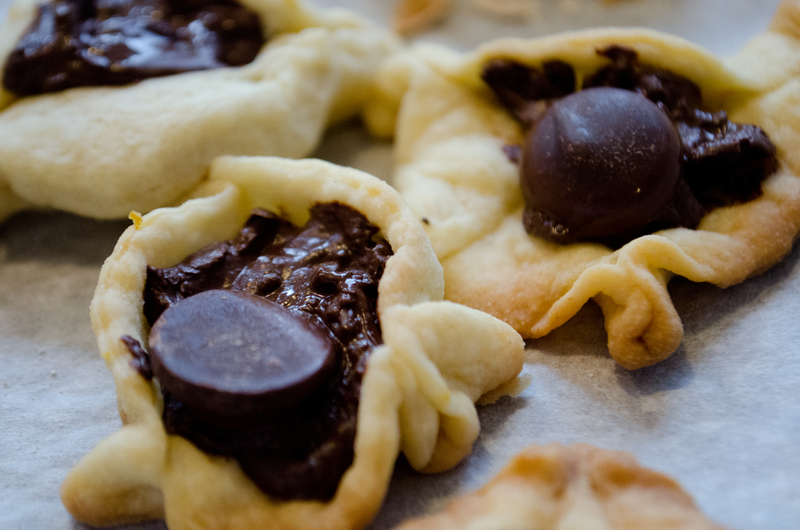 Your heathy twist on hamantaschen looks delicious. Follow our blog with your email! Please enter your email address to follow our blog and you will receive notifications of new posts!